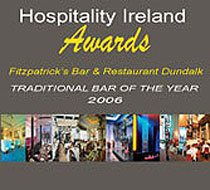 Two Awards from Hospitality Ireland! the K Club”, says Danny. two prizes is truly wonderful.” he concluded.